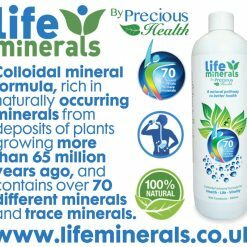 What is Life Minerals ? 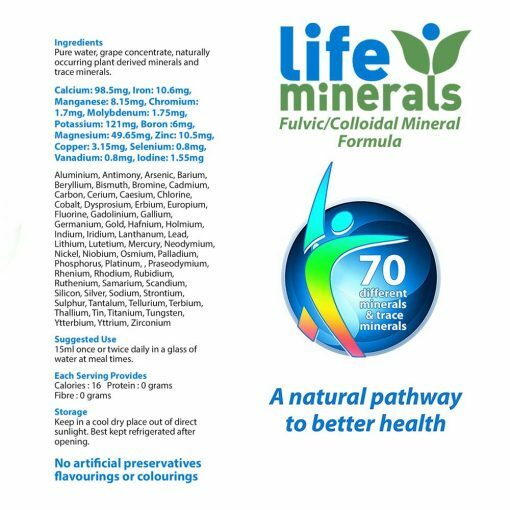 Life Minerals colloidal formula is rich in naturally occurring minerals sourced from deposits of humic shale/clay in North America. These huge deposits were formed by plants growing more than 65 million years ago. 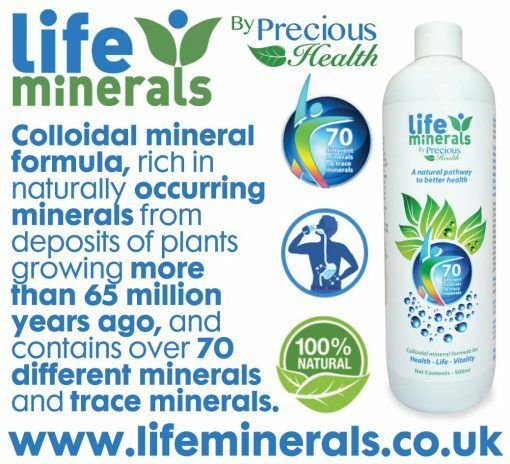 These mineral-rich layers of organic matter have been protected by a layer of sandstone and contain over 70 different minerals and trace minerals. 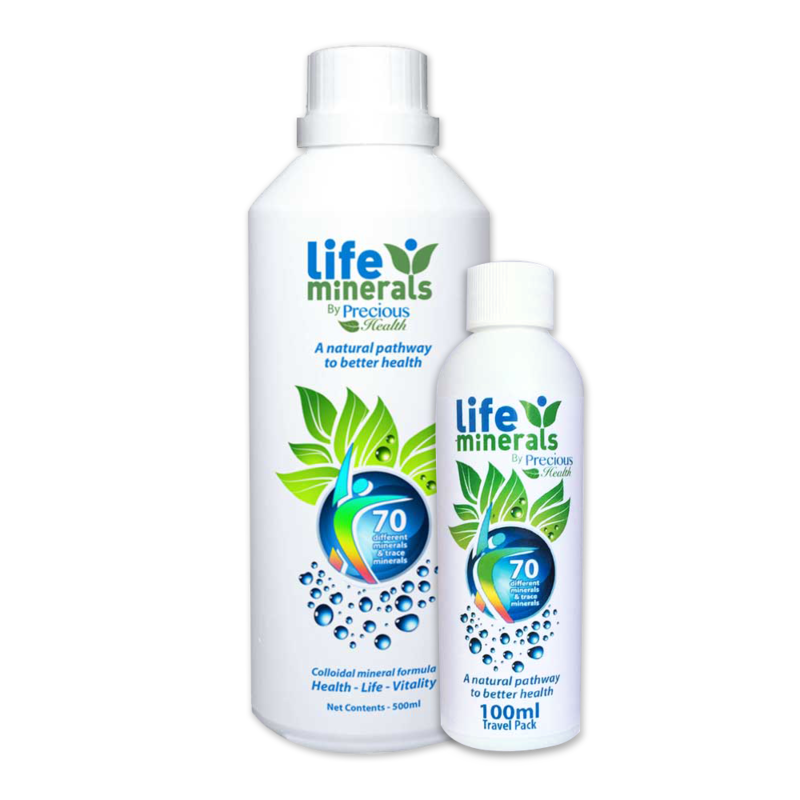 Life Minerals provide the structural material for bone and teeth formation. Calcium will not do this alone. 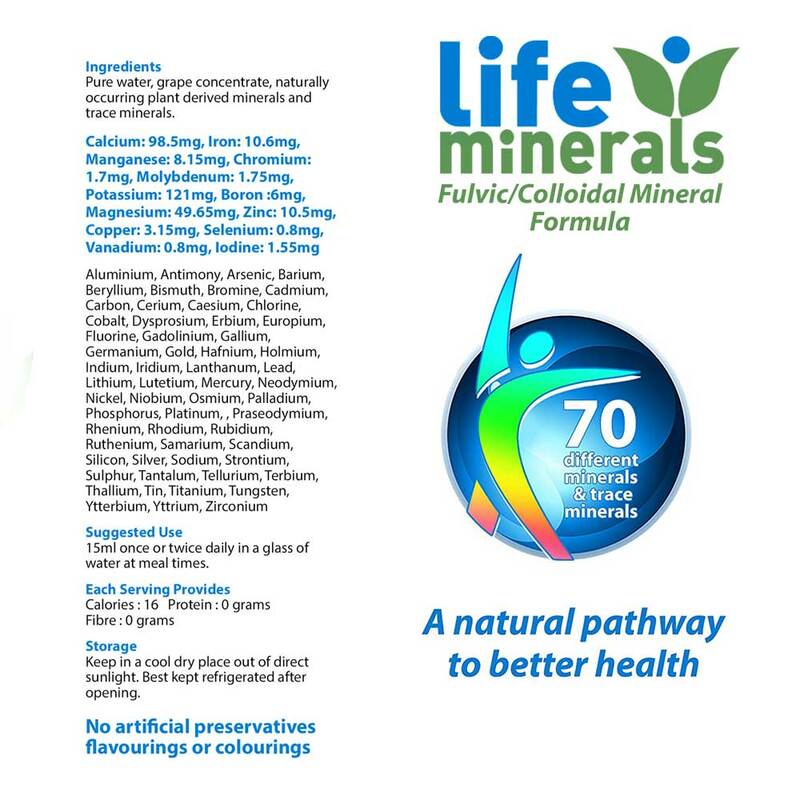 In fact, isolated calcium Caltrate prescribed alone can deplete the body of other important essential minerals. 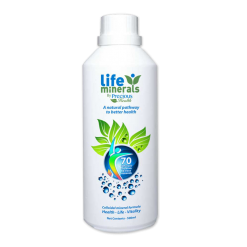 Life Minerals contain calcium in the most absorbent form on the planet. 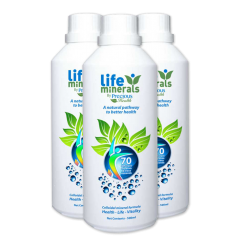 Life Minerals are the most easily absorbed of all mineral supplements as they by-pass the digestive system. Being liquid and having an ultra-fine particle size of 0.001 microns in diameter, they are approximately 2000 times smaller than the smallest metallic mineral, which makes them readily absorbed. 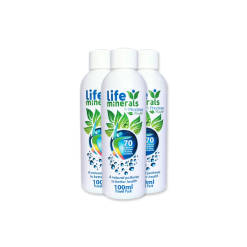 Precious Health Life Minerals offers a great way to supplement your diet, providing the confidence you be receiving some of those essential nutritional requirements. We’re all short on Minerals but Why? Years of growing crops in the same soil have depleted minerals available to plants and as a consequence, researchers believe we are not receiving the same nutritional value from foods as our forefathers did. As a result of an ongoing poor diet, the west especially is seeing an increase in degenerative diseases such as arthritis and osteoporosis and conditions such as ME and chronic fatigue syndrome. A nutritionally rich diet and good supplementation provide the best chance of not only staying healthy into later life but having an active and enjoyable later life. Even if we were to eat a perfectly healthy, organic diet all the time, the soil in most parts of the world is still zinc, selenium, and magnesium deficient. 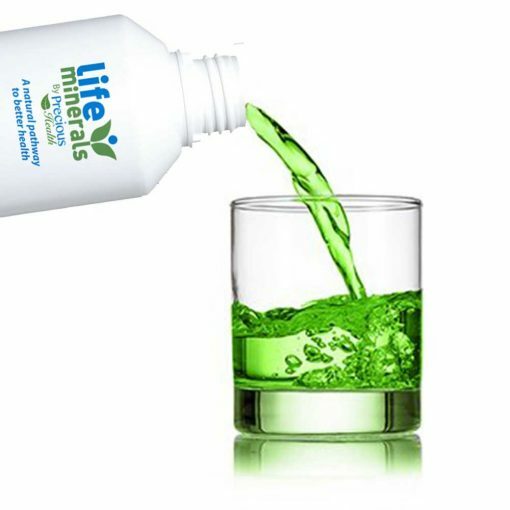 Life Minerals are the best way to replenish this deficiency. 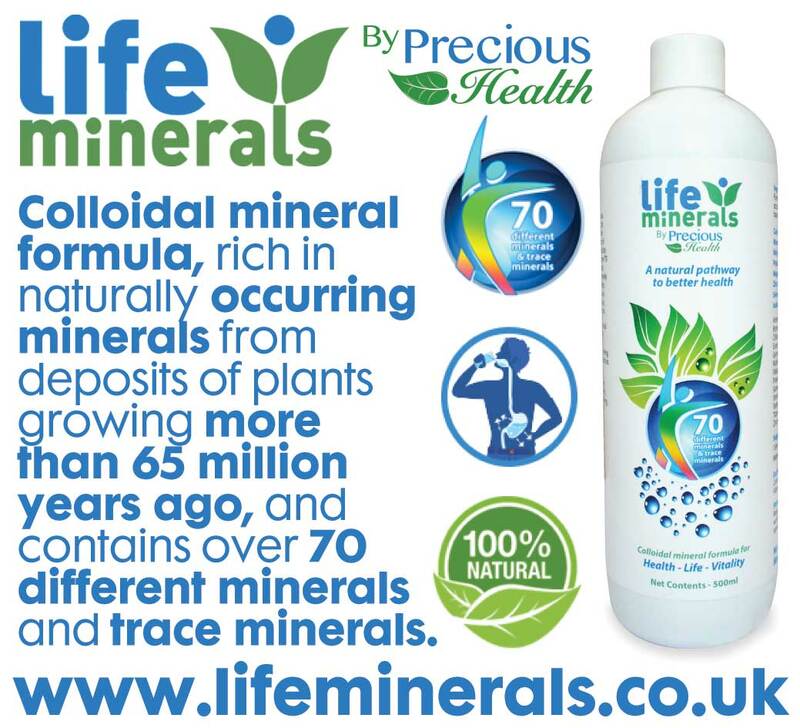 People who crave coffee, sweets, chocolate, fatty foods, salt etc have mineral deficiencies. Life Minerals help prevent cravings for these foods and balance out your mineral status calcium, zinc, selenium, iron, and magnesium are not the only important minerals! We need a balance of all the essential minerals and trace elements, which Life Minerals provide, 70 in total. 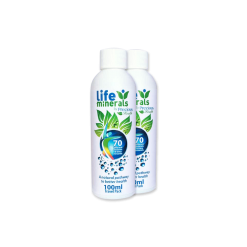 They promote good health, a strong immune system, aid injury repair, helps you recover from illness and importantly, helps you to feel great. 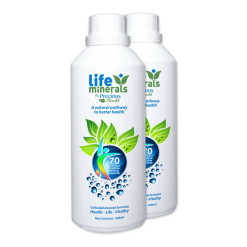 Your daily dose of easily absorbed essential minerals and trace elements. Pour just 15ml of great-tasting natural grape-flavour Life Minerals Liquid Supplement in a glass of water once or twice day at meal times. Store in a cool dry place out of direct sunlight. Best kept refrigerated after opening. Pure water, grape concentrate, naturally occurring plant derived minerals and trace minerals. 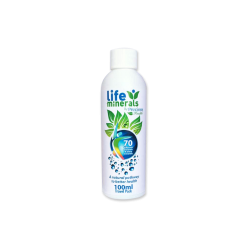 Want to earn money by sharing our products? Create an account to start earning!